“Do what you can, with what you have, where you are.” – Theodore Roosevelt. The speed limit is 75 mph on I-95 here in northern Maine and the few vehicles I see are taking that to 80+ as we approach the Island Falls exit. That’s Mount Katahdin towering 5,267′ above sea level to the left. I’m in Island Falls during this splendid month of July to stay at the Sewall House, a historic large homestead where yoga retreats have been taking place every summer since 1997. At the Sewall House I cook, teach yoga and go with guests to kayak, hike and sightsee. The guests come from all over the world, and I’ve been pleased to find out that many have vacationed here before, often more than once. I’ve also learned that one guest who enjoyed staying at the Sewall House back in the day was none other than Theodore Roosevelt. Before becoming the 26th President of the U.S. from 1901 to 1909, Teddy Roosevelt was a student at Harvard University in Cambridge, Massachusetts roughly 325 miles south of Island Falls, Maine. During that time he would visit here and stay with local outdoorsman Bill Sewall, learning about life in the nearby great woods and mountains, building his strength and endurance both physically and mentally. That’s the young Teddy Roosevelt on the right in the snowshoe photo above. Bill Sewall stands left, looking to me a bit like John Lennon during the Plastic Ono Band days. Quite honestly, I used to think all that “rough rider” history about Teddy Roosevelt was mostly political public relations at work, but then I read the excellent book, “Becoming Teddy Roosevelt” by Andrew Vietze. In it Vietze writes of a climb to the summit of Mount Katahdin Roosevelt accomplished…in moccasins! I recently did this climb in modern hiking boots, etc. and it was challenging enough. There’s a lot of precarious all fours bouldering in 2017. I can’t imagine what it was like with slippery moccasin soles in the 1870’s. The chimes on the porch ring softly, peacefully, perfect for a northern Maine yoga retreat locale. As I lie in bed during the middle of a summer night they let me know if there exists any wind outside at all. 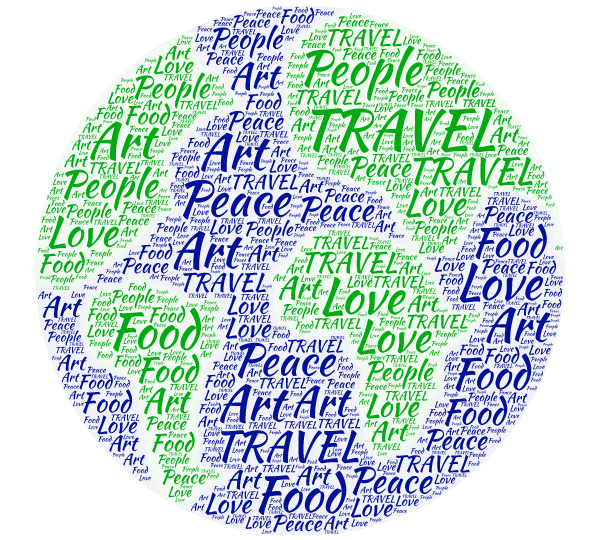 No matter where I’ve been in the past year for yoga retreats – Bali, Spain, France, different parts of the USA – one thing I’ve seen for sure is that the food provided plays a major part in the happiness of everyone involved. At Sewall House we always cook vegetarian, often vegan, and tailor it to the requests of the guests (gluten free often, and there has been a week or so as of late where garlic has been kept out of the kitchen). I’m pleased to report our meals here in Maine always get smiles and requests for the recipes. Nadja runs the kitchen, cooking at Sewall House for over four years now. She even has a cookbook of her amazing vegan recipes available here. When it’s my turn to cook I like to take a popular comfort food and make a vegan or vegetarian version. Some examples include “BLT’s” with avocado, “Meatballs” on black bean pasta and my new favorite, “Philly Cheesesteak” from the excellent kitchens of Eating Well Magazine. Donna Davidge, the fifth generation in Sewall House, runs the lovely old place as a yoga retreat, splitting her time between Island Falls and teaching in New York City. A variety of forms of yoga are offered based on guest needs and ability levels, taking into account personal requests and reasons for being at the retreat. Donna does everything to help her guests have a memorable visit, including leading most of the excursions out and about the Island Falls region. Pictured above she happily drives a group of us on her boat on the local waters she knows like the back of her hand. Click here for all about Donna and Sewall House. I teach some mornings, and it’s always a pleasure to do so in the well appointed yoga room attached to the kitchen off the back of Sewall House. Outside the house, there are also opportunities to meditate and enjoy a variety of other activities. One evening a group of us boated out to a quiet island on nearby Mattawamkeag Lake. We did some yoga, meditation and ended with swimming in the warm, crystal clear water. And I’m not making this up: often on the big lake I rarely see another boat, or another person. Many guests also enjoy kayaking on Mattawamkeag Lake. I like to volunteer to take them. The lake has islands and many coves and rocks where it’s fun and easy to maneuver around. And – knock on wood – the weather has been superb every time we’ve gone during July. And again, rarely another boat, never another kayak. There are also an array of side trips to make. Last Saturday, for example, I drove a guest and staff member to Fredericton, the capital of New Brunswick. It was a picture perfect day for walking around, so we did, visiting the city’s big farmer’s market and downtown shops plus one cool cafe for lunch. Fredericton seemed to me like what a really nice place in America might have been like in, say, the 1950’s. Strolling around on this peaceful Fredericton day we also visited a fancy lemonade stand run by a six year-old, and listened to rockin’ accordion music by an older than six years gentleman. Both were first rate! Our day in Fredericton also included a visit to a local beach, a place that reminded me of Northern Wisconsin back when I was a kid. My co-travelers on the day requested a yoga pose…they didn’t say it had to be a good yoga pose (although the shadow is okay). I’m just following what Teddy Roosevelt said, doing what I can, with what I got, wherever I am. It’s a Yoga World. Hope to see you along the way! Thank you for sharing info about Sewall House and this beautiful northern section of Maine. It’s truly a paradise this time of year. This ” county girl “might be a little bias, but my favorite post to date – 🙂 love and peace to you. Thank you so very much! And thank you for sharing your wonderful knowledge on this great part of Maine! Thank you so much, Patty! Hope all is well. I see your photos on FB and it looks like you are having a great summer!